I’ve long believed that those of us committed to social change—whether achieving gender justice, restoring a threatened democracy, or healing an endangered planet—have greatest success when we accentuate the positive. The bad news seems to take care of itself. At the same time, every day there are committed people around the world advancing a counternarrative—promoting what David Korten years ago dubbed “the great turning.” I’m not suggesting we ignore bad news—Steubenville and Sandy Hook, for example, make that impossible. Still, the media (Voice Male included) have a responsibility to strike a balance and for the most part good news is too often still under the radar. 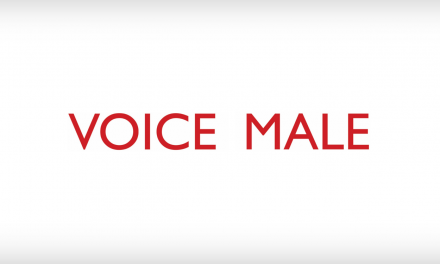 In the years I’ve edited Voice Male, I’ve seesawed back and forth in search of that balance. As much as the magazine has reported on the bad news (a year ago we devoted half our pages to Sandy Hook), in every issue we’ve worked to incorporate the vision and values of a new possibility for men and masculinities as reflected in the work of the profeminist men’s movement. It is in that movement that I have long seen not just a “hope” to transform conventional ideas about manhood but concrete action to realize it. 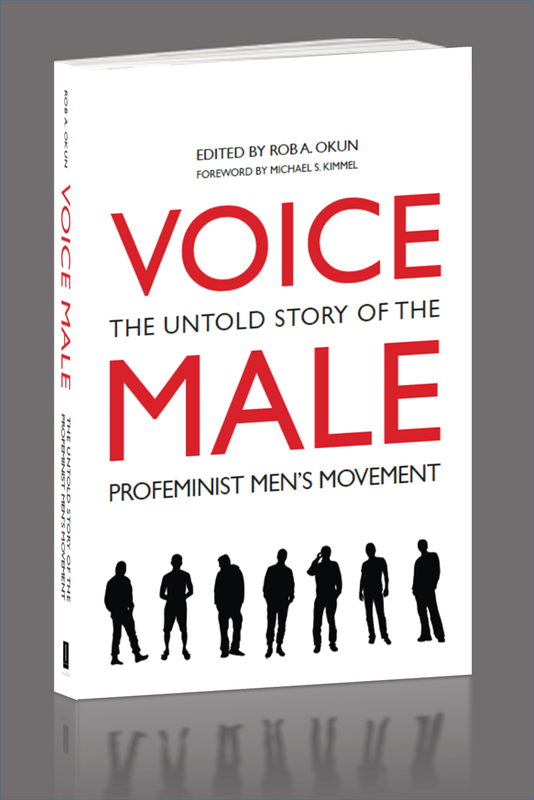 It’s what motivated me to write and edit the new book VOICE MALE: The Untold Story of the Profeminist Men’s Movement. 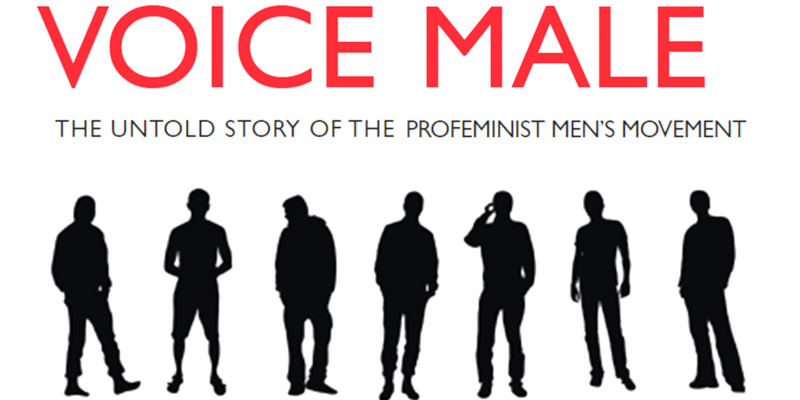 While not true for longtime Voice Male readers, for many the book will serve as an introduction to “one of the most important social justice movements you’ve never heard of.” In highlighting the substantial steps profeminist men’s organizations in North America and around the world are taking, the book aims to put profeminist men’s commitment to gender justice squarely on society’s radar screen—with a particular emphasis on the media, which still drive much of the national conversation about men. Approaching a topic as wide-ranging as profeminist men’s work was daunting, considering the movement began in the late 1970s (longer if you consider the activism of male supporters of suffrage a century ago.) If I were a historian, I probably would have produced a much different book. 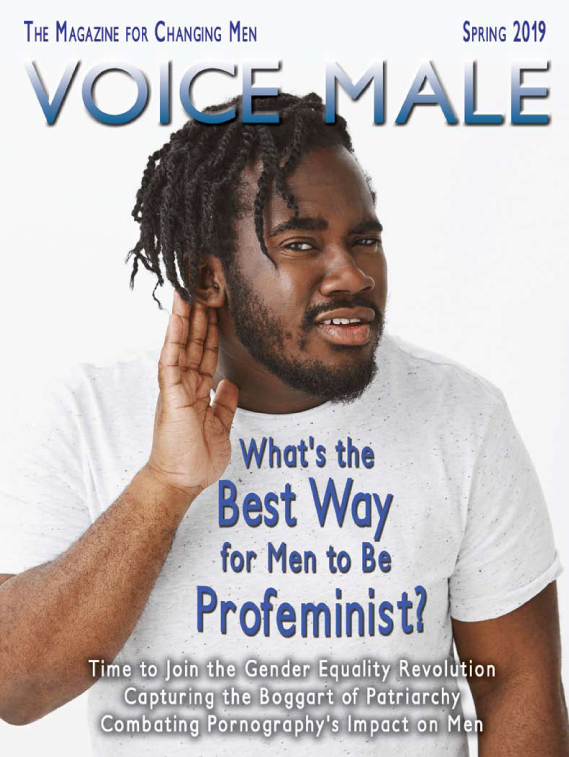 But as an activist and editor, I have used magazines (Voice Male is the fourth I’ve edited or published) as part of my contribution to solve the social justice Rubik’s cube I’ve been working on with countless others for decades. The profeminist men’s movement is where I have long seen not just a “hope” to transform conventional ideas about manhood but concrete action to realize it. The book offers a short history of the movement (50 pages) and brings the history into the present through profiles of 20 profeminist organizations in North America (including a few overseas). The chapters that follow feature essays and articles, commentaries and first-person stories from the pages of the magazine. The writing runs the gamut—boys to men, changing men, men of color, GBTQ men, fathering, men and feminism, men’s health, male survivors, overcoming violence, healthy masculinity, and manhood after Newtown. The book couldn’t have been completed without the ongoing effort of many allies: women and men working to end genderbased violence; promoting active, engaged fathering and caregiving; mentoring boys on the journey to healthy manhood; encouraging men to better care for our physical, emotional, and spiritual selves; and collaborating with women to improve the lives of women and girls and boys and men. One of the highlights of working on the book was going through the early copies of what was initially called Valley Men. The first issue came out in May 1983 as a four-page typewritten newsletter. It carried no graphics, and featured listings of local, regional, and national events about “changing men.” The back page featured a poem, “Thoughts on Withdrawal” by David Grief. It included these lines: “I hide behind my walls, my moat, my boiling oil, my drawbridge: a man’s heart is his castle, mine is secure. . . .” At the end of the poem he writes, “I am scared, frightened . . . what if I die in my castle all by myself . . . I think I’ll let the drawbridge down.” Voice Male the book and Voice Male the magazine are for and about the men trapped behind the castle walls and those who have let the drawbridge down. And, of course, it’s for the men in between yearning for connection even in the grip of painful isolation. If you have a story of change, a memory of letting the drawbridge down Voice Male would welcome hearing it. It is in the telling of our collective “untold story” that we can experience our own “great turning” where boyhood and manhood will be seen as a place for all men to know our hearts, our tears, our full humanity. 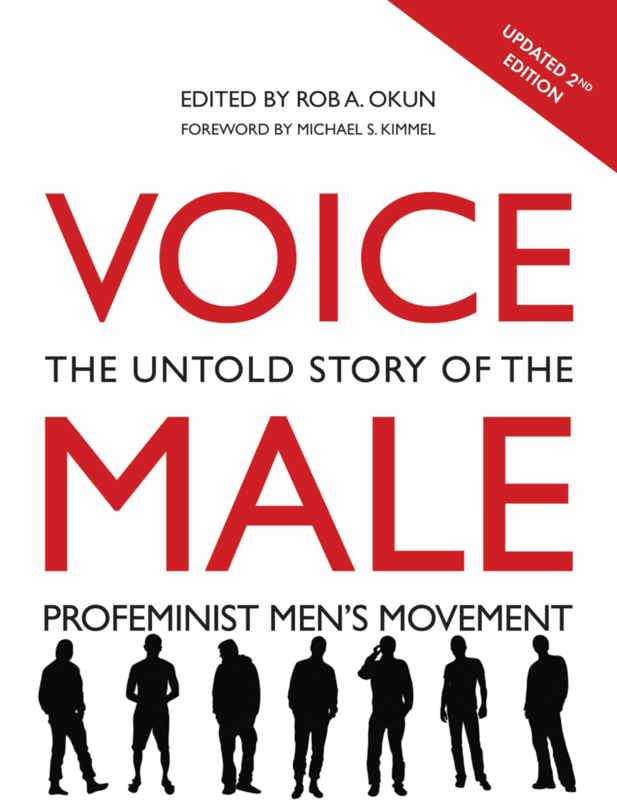 Voice Male: The Untold Story of the Profeminist Men’s Movement can be ordered through the publisher Interlink Books, on Amazon, and your support of independent bookstores.